. 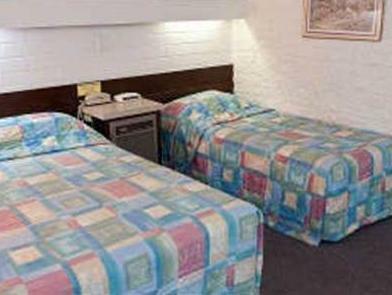 كما يقدم Mahogany Motel الكثير من الخدمات لإغناء رحلتك في وارنامبول. إن واي فاي مجاني في جميع الغرف, واي فاي في المناطق العامة, خدمة صف السيارات, خدمة غسيل الملابس هي جزء فقط من الخدمات التي تميز Mahogany Motel عن باقي الفنادق في المدينة. لقد جهزت هذه الإقامة الفندقية بعناية فائقة لتوفر مستوى عالي من الراحة. في بعض الغرف يجد النزيل تلفزيون بشاشة مسطحة, اتصال لاسلكي بشبكة الإنترنت (مجاني), حوض الاسترخاء, غرف لغير المدخنين, مكيف هواء. صممت خدمات الاستجمام في الفندق والتي تتضمن حديقة لمساعدتك على الاسترخاء والراحة. يشكل Mahogany Motel بخدماته الراقية وموقعه الممتاز، قاعدة مثالية للاستمتاع بإقامتك في وارنامبول. The good thing about the motel was the free parking on site. The room (booked for 3 adults) however, was really small. The reception was mostly closed so we didn't see any staff around, in case of requirement. The host was very helpful and accommodating. We were delayed & had informed the hotel of our late arrival. Our host ensured we had a convenient check-in. We booked online, it came up as a 24 hour motel so we booked in and got to the motel at 11. We rang the bell and the owner came to the door- turns out the motel isn’t 24 hours but he gave us a key and let us stay anyway. The next morning we had a great discussion with the owner. 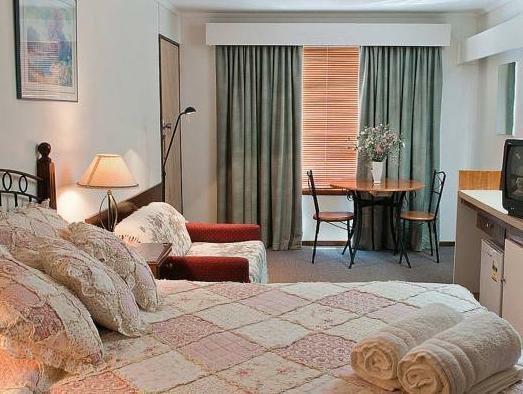 The rooms were beautifully designed, comfortable and neat. Beds were comfy and there was both a heater and aircon. It is really family orientated with the idea of spending the summer getting to know each other in the communial courtyard. We definitely enjoyed it and will stay again. Staff went out of their way to ensure my stay was pleasant and that my needs were met. Will highly recommend to friends and family. No basin plug in the bathroom, heater was very noisy. The spare heater wasn’t adequate enough on its own. 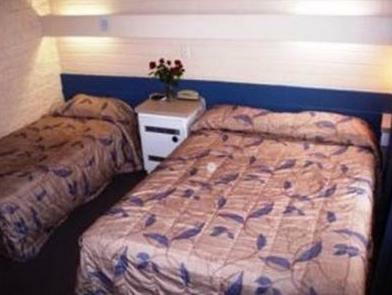 The Mahogany Motel had a great location, within easy walking distance of the town center and the Maritime Museum. The proprietor cooked an excellent breakfast for a reasonable price, and delivered it to the room. We had a pleasant stay at the hotel, close to the city center and the local beach. Staff was friendly and the room was well maintained. The room is clean and big. We reached the motel around 9.30pm, the staff was helpful and friendly. The room is very big, comfortable and clean. There is a kitchen in the room as well. The price is very reasonable. Room is comfortable and nice. Hotel staff are friendly and helpful. Suit family of 4 very well. A nice hotel for family and comfortable. Good for stop over after a long drive to a Great Ocean Road.